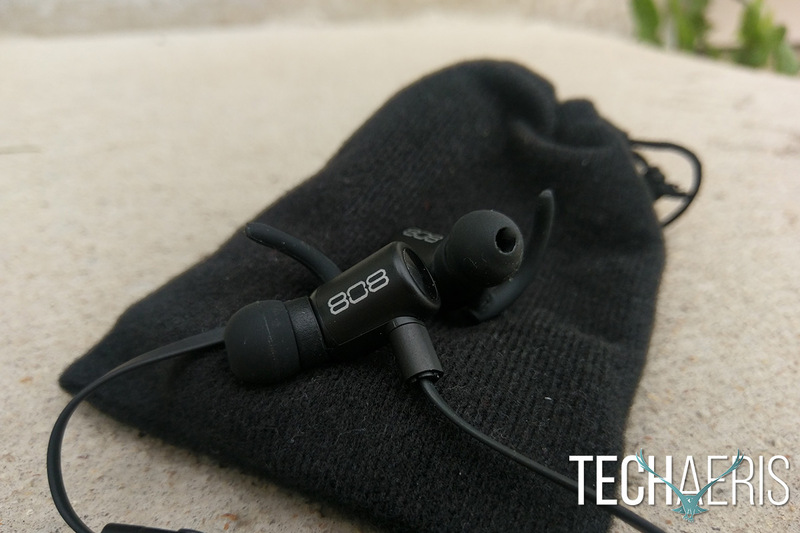 Bluetooth wireless earbuds are becoming more affordable and better constructed than ever before and the 808 Audio EAR CANZ are no exception. Choosing great earbuds is a daunting task as there are now so many to choose from. Hopefully we can give you a good overview of the 808 EAR CANZ and explain why they’ve earned a Techaeris Top Pick 2016 award, read on for the full review! The EAR CANZ are super stylish and well built. They look like little bullets in your ears and have a nice weight to them but not overly heavy that they are uncomfortable. The cable is flat which is a nice touch and helps to keep things untangled for the most part. The module on the wire is where you’ll find the charging port along with the play/pause/answer and volume up/down track back/forward buttons. The play button also functions as the power and pairing button. Overall the design is slick and sleek and looks really nice in any situation. Very pleased with the quality of construction and design. Simple Bluetooth pairing, it took less than a minute to pair up with the HTC 10 and the iPhone 6s Plus. Most Bluetooth devices these days are easy to use so you should have zero issues in pairing. Manipulating the controls is also easy, basic forward/back and up/down nothing too ground breaking here, just simple. 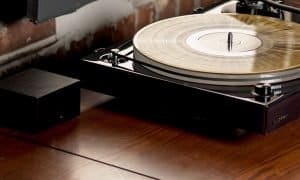 The EAR CANZ have a well balanced sound with a slight emphasis on the low end but nothing that overpowers the mids and highs. One feature I love and I say it every time a headphone maker incorporates it is the independent volume control. I love that you can raise the volume on the buds without raising the volume on the phone, every maker should be doing this. Overall the sound here is really nice; a good balance without distortion at max volumes, though I didn’t have it at max very long. Good reception/call quality here under my testing anyway. Callers could hear me clearly and I could hear them better than using the speaker on my phone. I pulled just over 6 hours of battery life with these, slightly over the advertised amount. Battery life will depend on volume output as well so your mileage may vary. Would like to see longer battery life, perhaps if they could get it to 8 hours, but I understand these batteries are small in these devices. 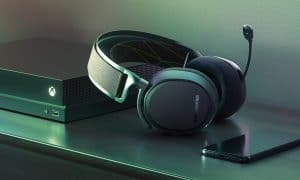 Retail price for the EAR CANZ is set at $49.99 on the 808 Audio website but at the time of this writing you can pick them up on Amazon for $39.99 which is a fantastic deal for what you’re getting here. 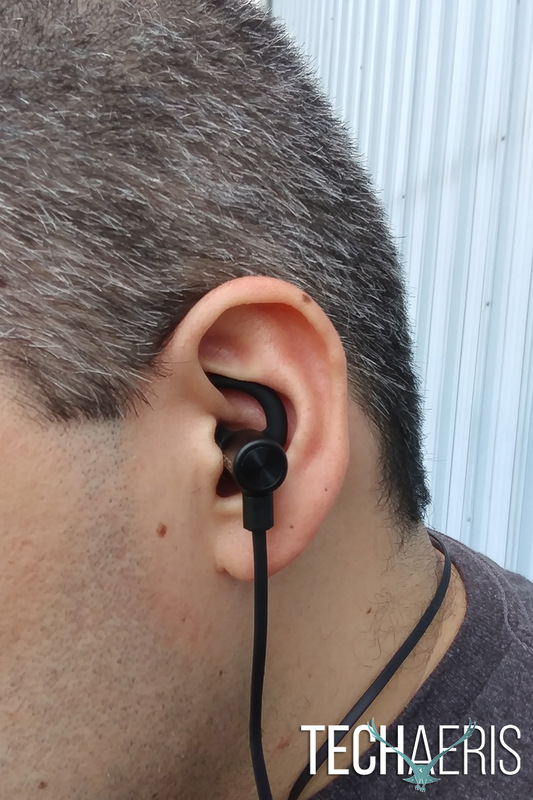 If you’re looking for a pair of wireless earbuds, the 808 Audio EAR CANZ should be on your research list. Amazing sound for the price and being Bluetooth. Low end is well balanced and not overpowering and mids are clear. Wish the ends were magnetized for better storage and a better carrying case would have been nice. 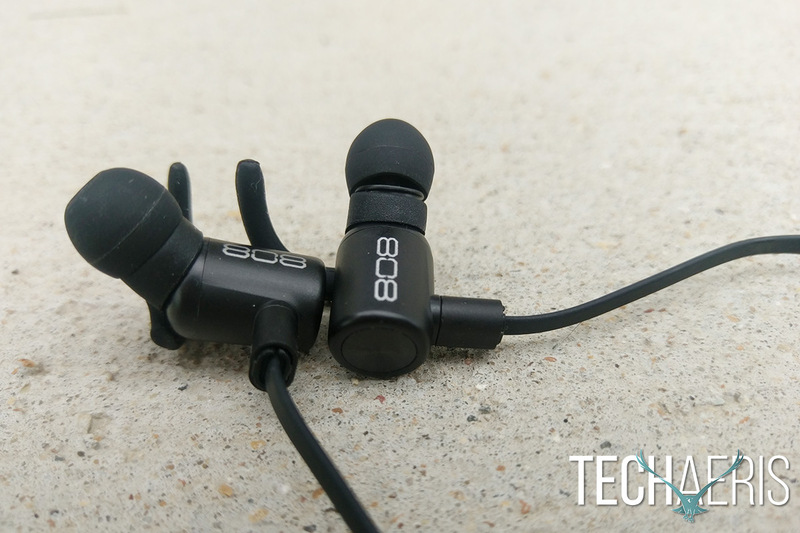 These earbuds have an amazing sound, nice low end, balanced mids, and sweet highs. You can snag them on Amazon for $39.99, $10 under the retail. 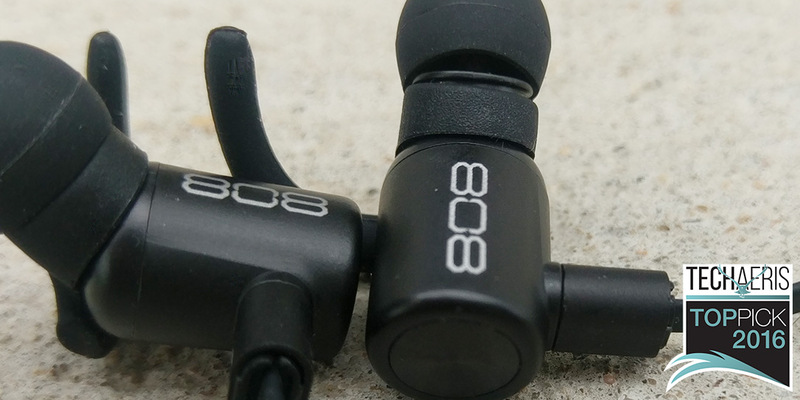 *We were sent a review sample of the 808 Audio EAR CANZ for the purposes of this review.